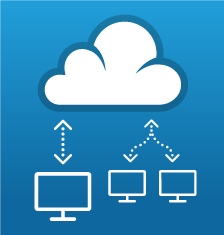 IncoCloud allows you to securely connect your IncoPOS installation with our servers. 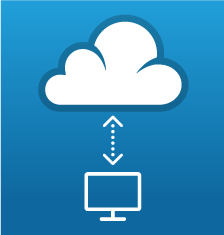 With IncoCloud you will never have to worry about backups again. When your computer is connected to the internet and IncoPOS is running, all your information is securely backed up without any interruption of your work. Even if your hard drive fails or you lose your workstation for any reason, you can restore all the data right from IncoPOS on your new machine up to the last moment you worked with IncoPOS! In case your workstation is stolen you can even remotely wipe the information from your machine, so you can be sure that nobody will have access to your company numbers. 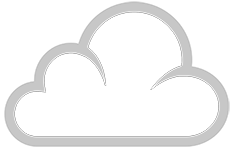 Even using the free licensing schema without any licenses installed, IncoCloud can give you a much better protection of your information than any regular backup that happens on your local machine or network. IncoCloud is also very convenient to connect with your accountant. You don’t need to make any exports or reports every month to get the information ready him. All you need to do is install IncoPOS on the accountant’s machine, create a synchronized copy of your database there and he will get his database updated automatically when IncoPOS is turned on and connected to the Internet. After that all the powerful reporting features will be available to him, and “read only” synchronization can prevent him from making any unwanted changes to your data. Even if the accountant makes any changes they will be rolled back in his machine in a matter of seconds while his copy of the database is in “read only” mode. A similar setup can be used also by the management staff to get the information they need and plan ahead based on it. And because IncoCloud allows you to work with your data anywhere you want you can work even during a flight or if you are in a place with no internet connectivity. For such situations you can check out the information from the last time the computer was online, so even connecting for a few minutes once a day can keep everything synced up. With the powerful synchronization technology that runs IncoCloud, it can help you connect many work locations from all over the world without using complex VPN solutions installed. A stable and reliable internet connection or a constantly turned on server are also not required. This means that even if all other locations are left without internet access they can still get the latest changes once internet connection becomes available. This is possible because no workstation is working as a “central” store as IncoCloud becomes the central synchronization point. All reports and data are stored and retrieved from the local computer or LAN, which makes everyday tasks very fast and without any risk of delays caused by internet providers between you and the central database. Even a complex configuration like connecting multiple stores in different locations is done with almost no configuration right from IncoPOS and in a matter of minutes. The full management functionality is available from you computer with IncoPOS, so there is no need to go to web sites in order to change the configuration, add new user or change the privileges of the existing ones. IncoCloud is so easy to configure and setup, that even complex scenarios in your company can be implemented very easy. All the databases that share the same information and are synchronized together are placed in one group. Administrators can add users to that group so other managers can create a copy of that database at a different location. The new copy will be placed in the same group and all the changes will be synchronized between them. If you need to synchronize more than two databases you can use a Pro license which allows up to 99 database copies in each group using Pro Add-on licenses. If you need to have a new store synchronized and backed up separately you can simply add its database and create a new group, which will hold all the data apart.